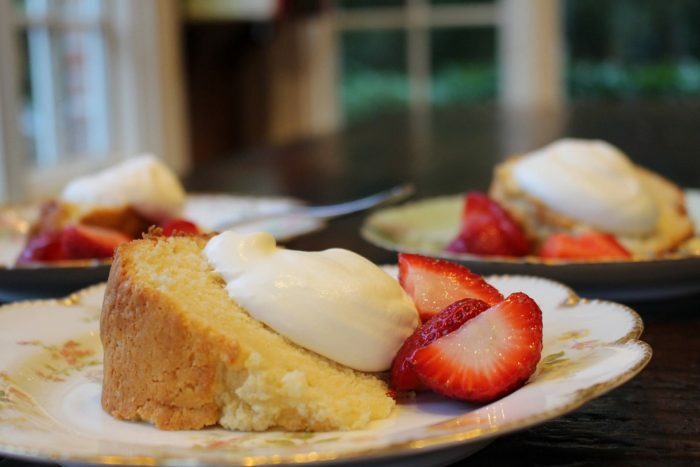 A cake is a versatile dessert that can be paired with just about anything. 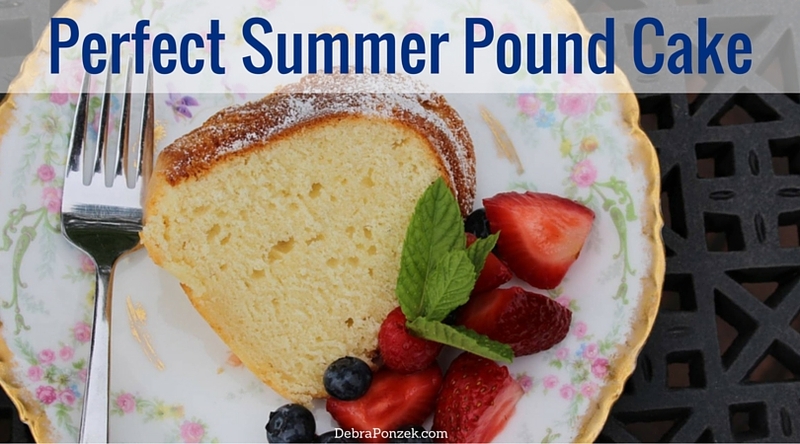 For a sweet dessert, I go with a summer pound cake. 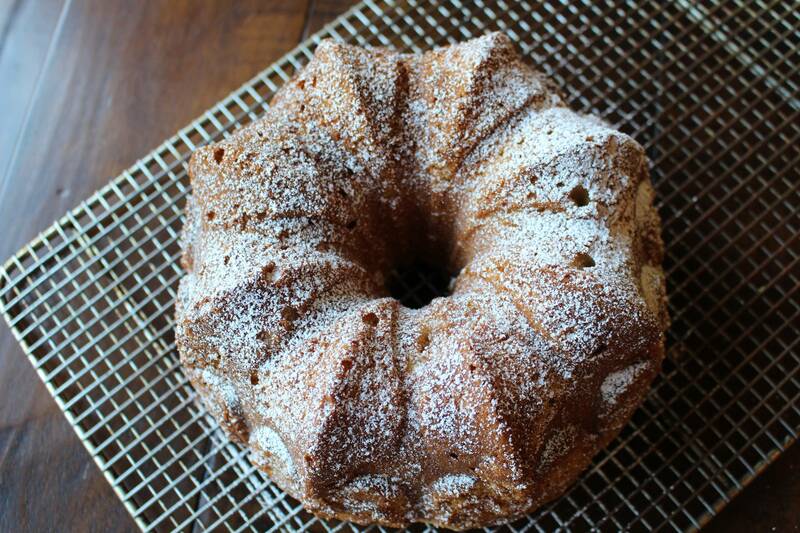 I love the moisture that comes in a pound cake if done correctly. Add a little lemon flavor and you’ve got a delicious summer treat. 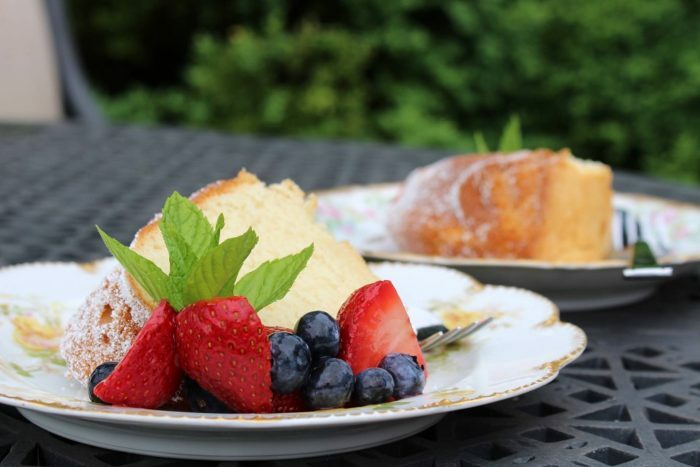 You can pack a slice or two of the pound cake along with some iced tea, fresh berries and whipped cream for the perfect summer picnic. You can even serve with ice cream for a really moist and cooling dessert. 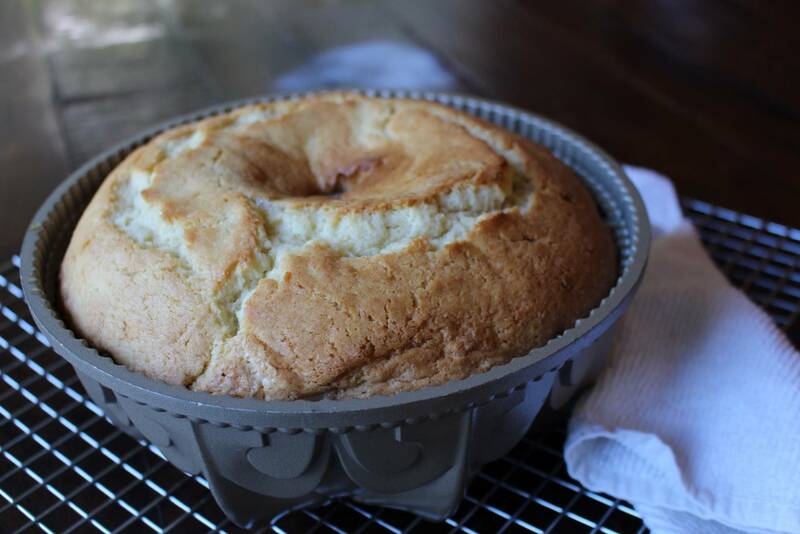 Summer pound cake is soon to be your new favorite summer treat. 1 cup (2 sticks) unsalted butter, softened, plus extra for greasing the tube pan. 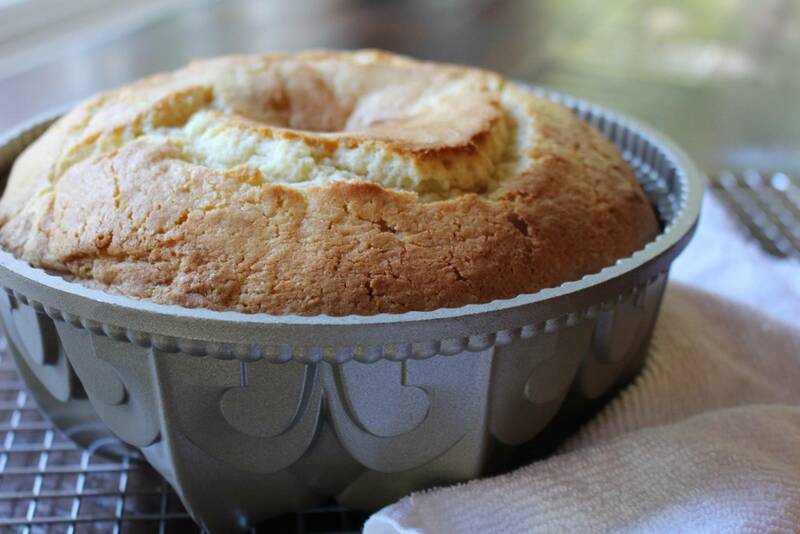 Lightly butter a 10-inch tube pan or bundt pan. Make sure the tube is well greased as well as the sides and bottom of the pan. Put the flour, baking powder, and salt in a small bowl, whisk well, and set aside. In the bowl of an electric mixer fitted with the paddle attachment, beat the butter at medium speed until smooth. Slowly add the sugar, scraping the sides of the bowl once or twice, and beat for 4 to 5 minutes, or until light and fluffy. Add the eggs a little at a time, beating after each addition and continuing to beat until fully incorporated and the mixture is light and fluffy. Reduce the speed to low and add the flour mixture alternately with the milk, beginning and ending with the dry ingredients. Slowly beat in the zest, juice, and vanilla. Pour the batter into the prepared pan and bake for 45 to 50 minutes, or until the cake springs back when gently pressed and a toothpick inserted near its center comes out clean. Cool the cake in the pan for 10 minutes. Invert the cake over a wire rack and lift the pan off the cake. If the cake sticks, run a dull kitchen knife around the cake. Cool right side up on a wire rack. Makes one 10-inch tube cake. 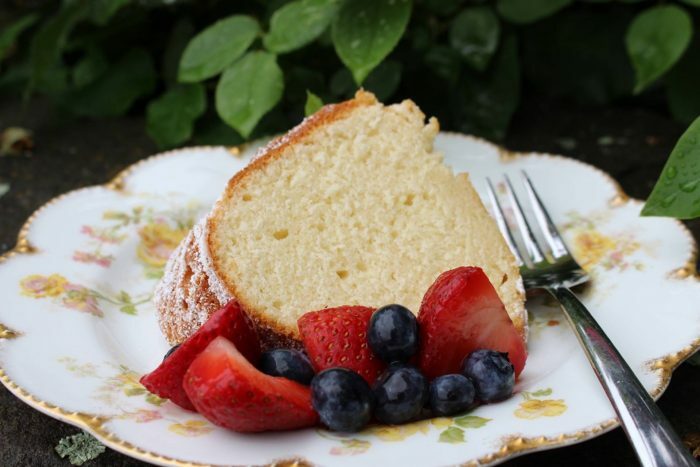 This summer pound cake recipe is a great dessert with any summer recipe. Make it ahead of time and you’ve got a scrumptious dish to bring to a summer potluck or BBQ.